Welcome to the Himalayan kingdom of Nepal, the incredible staircase to the top of the world. Sandwiched between the vast Tibetan Himalayas to the north, India to the south, the Indian Himalayas to our east and west, Nepal is packed with romantic landscapes, fascinating history, rich art and architecture, abundant wildlife, adventure and picturesque views of Mount Everest and the Himalayas. This is the land where Lord Buddha, the greatest apostle of world peace was born (Lumbini), the only place in the world where Hinduism and Buddhism co-exists, a country where ancient and modern culture meet. 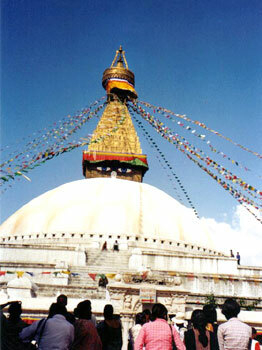 If you are keen for an exotic experience you'll find it here, in the kingdom of Nepal. Organizer of Trekking, Rafting, Safari & Travel Adventure in Nepal.